Become The Next Big Star! Are you talented and you know it? Then showcase your talent here! 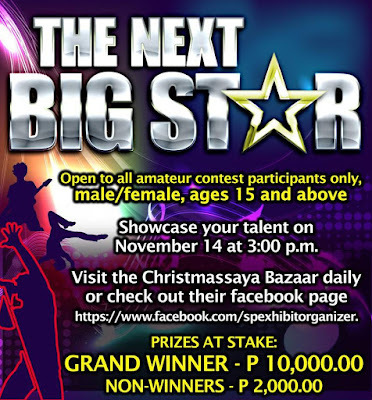 Marikina Riverbanks Center invites you to become the The Next Big Star! This is open to all amateur contest participants, male or female, ages 15 and above. 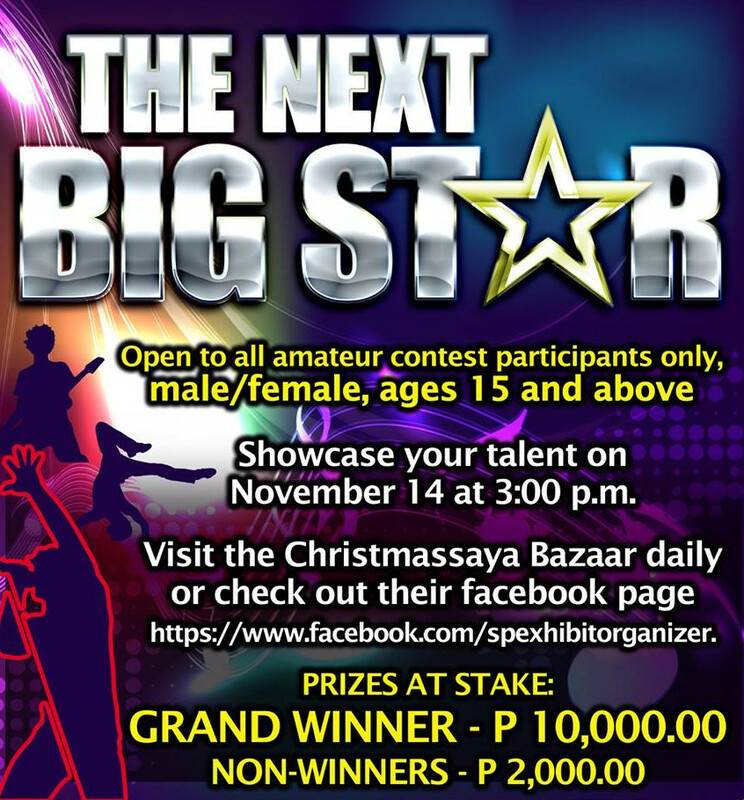 Come to the Riverbanks Center on November 14, 3pm and get ready to showcase your talent. 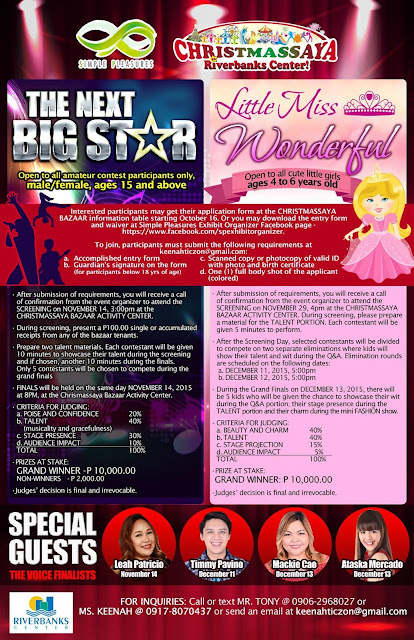 Grand prize winner takes home P10,000. No one goes home empty handed as non-winners will receive P2,000. Interested participants may get their application form at the Christmassaya Bazaar information table starting October 16. You may also download the entry form at the Christmassaya Bazaar Facebook page. After submission of requirements, auditioners will receive a call of confirmation from the event organizer to attend the screeninng on November 14, 3pm at the Christmassaya Bazaar Activity Center. During screening, present a P100. single or accumulated receipt from any of the bazaar tenants. Prepare two talent materials. Each contestant willbe given 10 minutes to chowcase their talent during the screening and if chosen, another 10 minutes during the finals. Only 5 contestants will be chosen to compete during the grand finals. Finals will be held on the same day (November 14, 2015) at 8pm at the Christmassaya Bazaar Activity Center. Special guest will be The Voice finalist, Lea Patricio. For more details, check out the Christmassaya Bazaar Facebook page. Goodluck to all the contestants!